Office 365 users will increasingly be able to import contacts from external applications after the suite’s initial rollout of this capability for Facebook and LinkedIn. Microsoft recently implemented a feature in Office 365 called Connect that lets some editions of the suite grab contacts data from third-party tools. The first supported source was LinkedIn in late February and more recently Microsoft has added Facebook. More contact repositories will likely be added to the mix. “Currently, the feature supports only LinkedIn and Facebook, but we are always looking at ways to connect additional services to Office 365,” a spokeswoman for Microsoft said via email. Who can use the capability? The LinkedIn contacts import feature is available worldwide to all Office 365 editions that have the Exchange Online component. That blog post marks the first time that Microsoft has openly promoted this feature. Once the contacts information from LinkedIn and Facebook has been replicated to Office 365, users can merge duplicate entries and edit the information as needed. Office 365 also checks the two online services several times per day to keep its list updated with the latest changes and additions made on Facebook and LinkedIn. After that, the sync process is unidirectional for both LinkedIn and Facebook, meaning that changes made to contacts information on those sites are replicated back to Office 365, but not the other way around. Office 365 Connect can also import photos of the contacts from their LinkedIn and Facebook profile pages, according to the blog post authored by Krish Gali, a Microsoft senior program manager. Last week, LinkedIn made a similar announcement, saying it would begin a limited trial of an upgraded contacts management feature of its site. The revamped LinkedIn Contacts has been designed to aggregate information from a broader variety of sources than previously possible. LinkedIn Contacts can grab contact data not just from LinkedIn but also from a variety of third-party email services, address books and calendars, including those in Gmail, Yahoo Mail, Outlook and iPhone, and from applications like CardMunch, Evernote and TripIt. A LinkedIn spokeswoman confirmed that it can import contacts data from Office 365’s Exchange Online. However, it lacks integration with Facebook and Twitter, and hasn’t been designed to tap enterprise applications like CRM software and ERP suites. 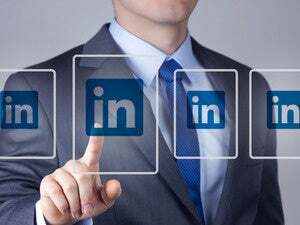 In their respective announcements, LinkedIn and Microsoft expressed their desire to be their users’ primary contacts repository. Accomplishing this obviously gives a big usage advantage to the chosen software, especially with the recent emphasis on “social” applications both at home and at work, which put individuals at the center of their personal networking and professional collaboration. As vendors jockey for position, it’ll be interesting to see who ends up controlling this contacts management space—if anybody—and what competitive moves they make to both access external data and to prevent rivals from mining their contacts data for their advantage.